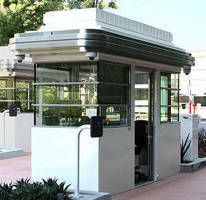 Custom security booth installations help protect our nation's top secret government facilities. B.I.G. 's custom designed Discovery Center boasts superior fit and finish, and accommodates blast and bullet-resistant requirements. 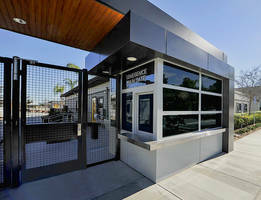 Los Angeles, CA – Guard booths are a first line of defense for sensitive government sites. Security personnel need facilities that allow them to function effectively in varying climatic conditions, while giving them a physical advantage over potential threats. Ever ready to respond to these needs, B.I.G. 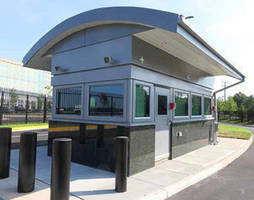 Enterprises, Inc. (www.bigbooth.com) has designed another in a series of specialized, tough, prefabricated guard booths at the request of a major developer of classified government facilities. Each manufacturing detail is carefully considered prior to shipping to ensure a 'no hitches' installation. The model, called The Discovery Center is a 240 square-foot unit designed to meet stringent safety and security regulations, while maintaining an architecturally welcoming aspect. The unit was factory-built, prepped, and shipped in one piece so that the unit could meet all DOT shipping width regulations, and to allow for the on-site addition of granite exterior panels, custom arched roof, and overhang. This cost-effective, high-security booth is perfectly suited for use in sensitive areas. The unit comes equipped with restroom area, and numerous high-tech features: a protected electronics closet featuring high-security door with spin-dial lock and electronic hinges, Type 304 stainless-steel radio and weapons storage closet, custom picture frame-style windows fitted with RF ballistic-laminated glass and polycarbonate. Tough, energy efficient elements shine throughout and include LED recessed interior lighting set within a reinforced acoustical tile ceiling. Tile grid is fabricated from 16- gauge, painted galvanized steel which is welded in place for longevity. To maintain optimal comfort levels appropriate for an Eastern Seaboard climate, the HVAC is a DX, ducted split system, with 24,000 BTU cooling, and a 7kw electric resistance heating element. Fan coil unit is recessed in attic, and insulated ducts flow conditioned air seamlessly to all areas. The booth ships with an extensive electrical system to support monitors, radios, computers, chargers, and other necessary gear. Conduits and boxes for data, communications, LAN, security cameras, and exterior lighting are thoughtfully positioned. Interior finishes are designed to withstand constant wear and tear. Floor framing and surface is fabricated from 304 stainless-steel covered with industrial-grade rubber tiles and base cove. All interior shelving is also 304 stainless with a #4 finish. Unique to B.I.G. booths is the prep and painting system, both of which are completed prior to shipping. The Discovery Center is acid-etched via a high-pressure wash technique, primed with a two-part epoxy, and finished off with a high-solids polyurethane paint that is impact, fade, and chemical resistant. 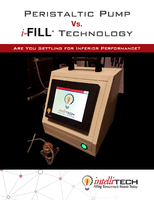 "A lot of companies make 'booths', but when Developers, Architects, Contractors, Business Owners, and Government Agencies want a fully-detailed, superior booth that's built to last, B.I.G. 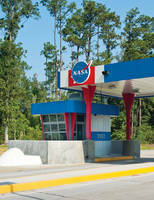 Enterprises, Inc. has become industry's Go-To Booth Company." For over 45 years, engineers and decision-makers from hundreds of transportation, chemical, agricultural, manufacturing, university, and corporate facilities have trusted B.I.G. 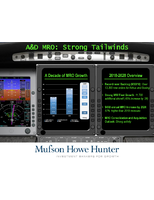 Enterprises to produce exceptional products and designs to meet the exacting requirements of today’s corporate and industrial security environment.